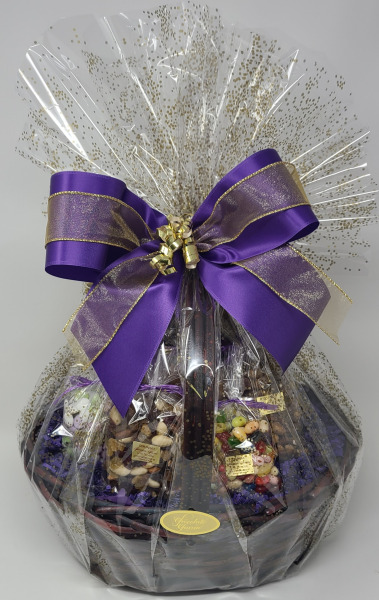 At Chocolate Charm, we give pride of place to our very own truffles, chocolate caramel popcorn, almond bark and chocolate pretzels in our baskets, complimented with some favourite candies and roasted nuts. A feast for the eyes as well as for the most discerning chocolate aficionado. We customize baskets and always have baskets on hand specifically designed for holidays.